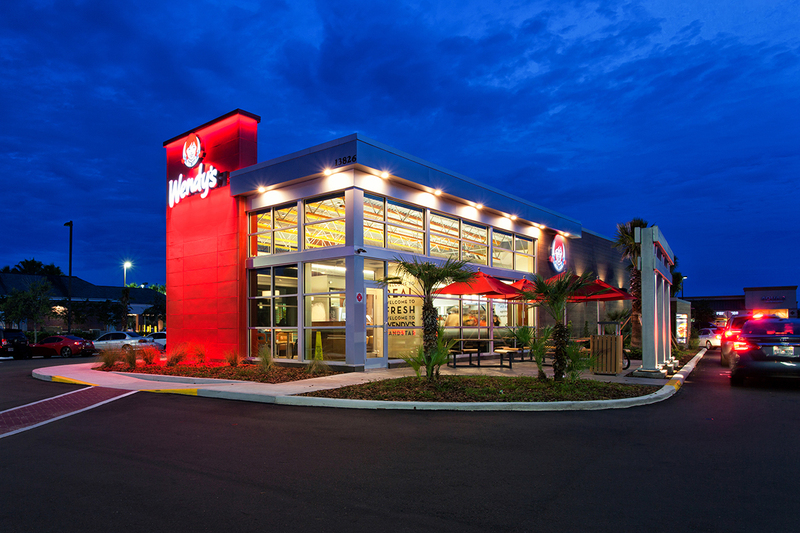 The Wendy’s Co. is rolling out more of its smaller model, called Smart 55, debuting its most recent unit in Portsmouth, Va.
"This restaurant has bold curb appeal and features a modern design inside and out," said Andrew Krumholz, managing partner of Norfolk, Va.-based Delight Restaurant Group, the Wendy's franchisee. The Dublin, Ohio-based quick-service chain said the unit features a new, more open interior décor and seating that includes booths. Traditionally, the quick-service chain needed at least an acre of real estate to build its traditional, standalone units. The new “smart design” can go into much smaller spaces, said Abigail Pringle, Wendy’s chief development officer, in an investor meeting last year. The new “Smart Design Platform” costs about $300,000 less than the company’s standard building, a spokesperson said Tuesday. “We recently introduced several Smart Design 2.0 suite of designs, which target an additional $150,000 of savings,” she said. The smaller restaurants cover about 2,600 square feet and seat between 56 and 58 indoors. The Smart Design platform also highlights energy efficiency, including lower-energy heating and air-conditioning units, light-emitting diode (LED) lighting and energy-saving kitchen equipment, the company said. 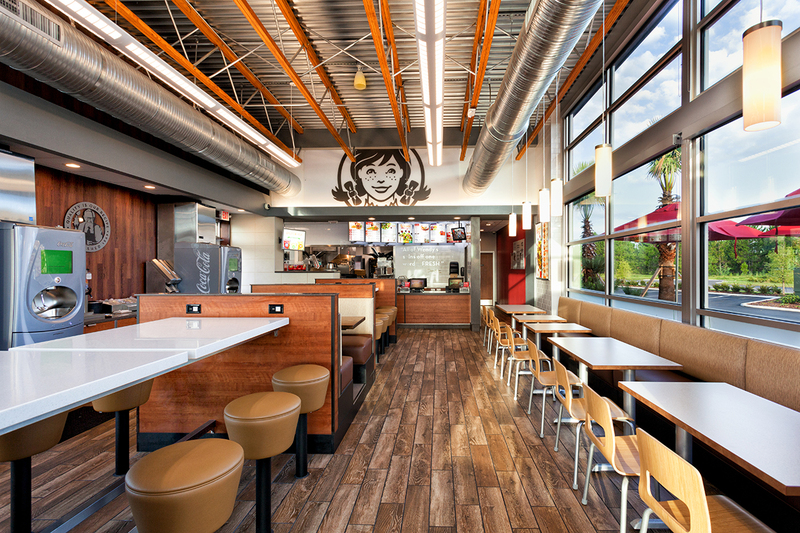 Wendy’s has also been reimaging older restaurants over the past several years. During 2017, Wendy’s and its franchisees reimaged 551 restaurants in North America, an increase from the 521 reimages that were completed in 2016, the company said in releasing its fourth-quarter 2017 earnings in February. At the end of 2017, 43 percent of the global system was updated, slightly ahead of the company's prior guidance. The Portsmouth franchisee, Delight Restaurant Group, joined the Department of Energy's Better Building Challenge in 2017 and committed reducing energy use by 20 percent over a 10-year period. The March opening was Delight’s fourth unit in Portsmouth and its 30th in the Wendy’s system. The Wendy's Company has about 6,600 restaurants in the United States and 30 other countries and territories.